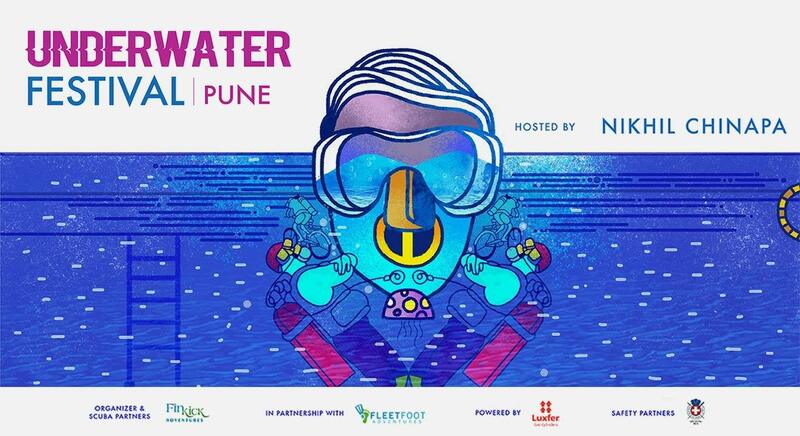 The Underwater festival celebrates the underwater world and the spirit of adventure by bringing SCUBA diving a step closer to you! Underwater Playground - Take your first breath underwater! - This is open for everyone - both, swimmers and non-swimmers. Introductory session to SCUBA Diving in pool of depth 6-7 feet. Also, take a selfie at our underwater Photo Booth! (Yup, you read that right). Underwater Hockey - This is open for swimmers only. Get trained + play the game. A fast paced international sport being played for the first time in India and it's a whole lotta fun! Try it out and experience the thrill! Free-Diving - No tank? No problem! - Open for Certified PADI, SSI and CMAS divers only. Who says you need a tank to go underwater? A pair of fins, a mask and a snorkel would do just fine! Free diving is fast becoming one of the world's most popular ways to explore oceans. Try it in the pool and you can decide if this is is what rings your bell! SlackLining - Find your balance! - Slackline and chill is the new cool thing to do. We've setup a bunch of lines for you guys to try it out. For when you fall, don't worry - we've got you covered. If you've never tried it before, we need to warn you it's a lot of fun and very highly addictive! So get on and get that balance right! Photography Exhibition - Experience the adventure sports and the wild underwater world through the lens of some renowned photographers. Diving around the world! - Find the best places to start your diving journey. Get exclusive deals for diving around the world. Talk to instructors and experts to see what fits into your plans and your budget. Food & Beverage - Who isn't hungry after a dive? We know we are! Psst.. we're bringing in Pune's best food joints and food trucks for you! Even if you aren't diving, come hang out with us and grab some food with fun people. It's a great way to spend a Sunday. Trust us, we know! Music - What's a festival without some music?! We've got everything from hip-hop to techno, curated by our dive instructors from across the country.